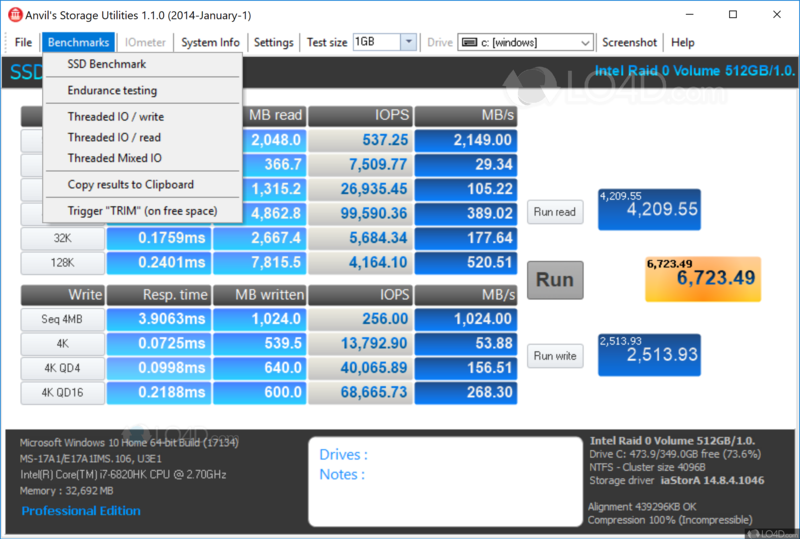 Anvil's Storage Utilities is an older, but still relevant performance measurement tool for traditional hard drives and solid state drives (SSD). 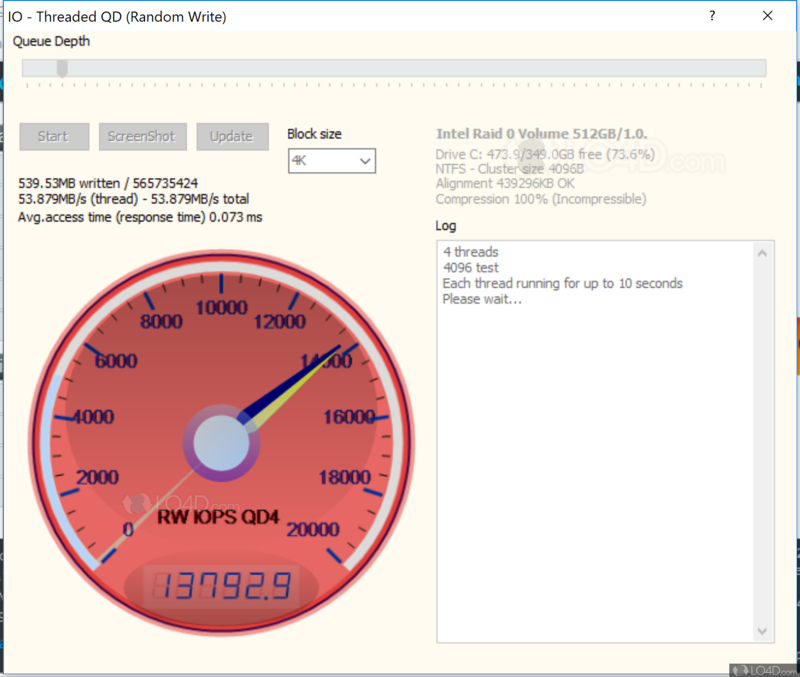 The tool can monitor and test read and write speeds on hard drives while also providing information from the Windows Management Instrumentation (WMI) that provides basic information about the disk and its parameters. This includes partitions and volumes. 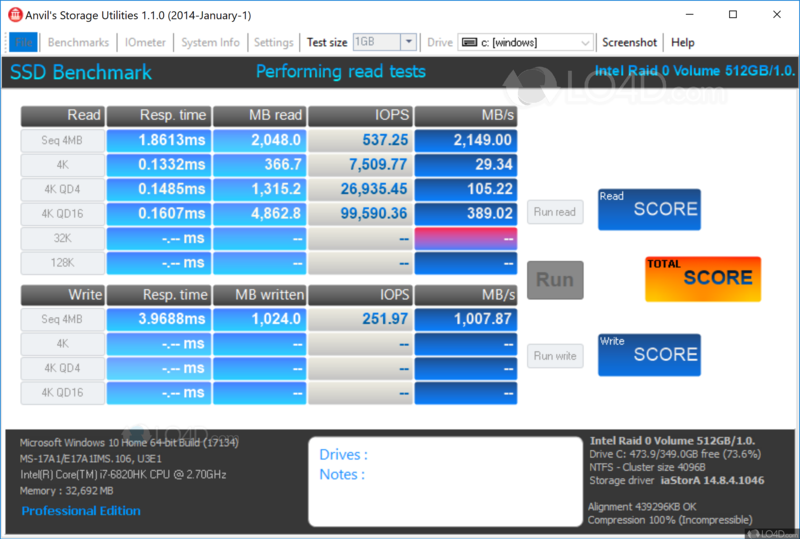 The benchmarking tool details information collected by random read and writes, I/O operations and integrity tests. The endurance mode of Anvil's Storage Utilities can provide inside on the life expectancy of SSD drives based on how well it performs. As a portable application, installation is not required and it can be executed from virtually anywhere included from USB memory sticks and network locations. 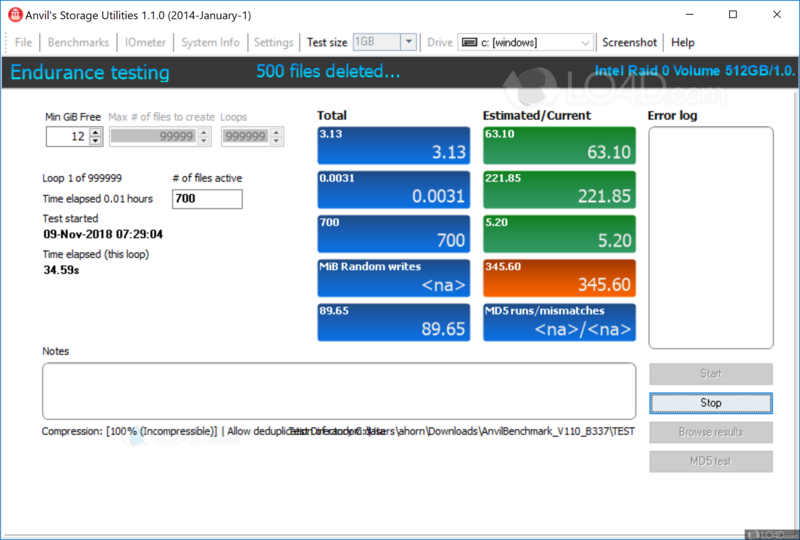 Overall, Anvil's Storage Utilities is a useful utility which provides some useful information about disk drives and how well they are performing. 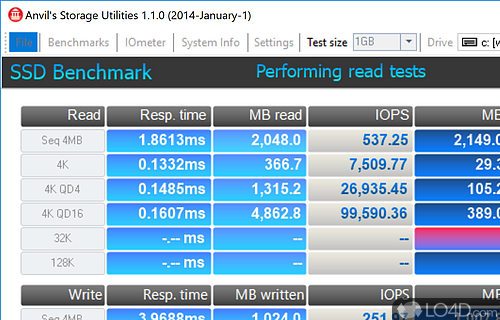 Anvils Storage Utilities is software which can benchmark hard drive speed. Anvils Storage Utilities is licensed as freeware for the Windows (32-bit and 64-bit) operating system / platform from benchmark software without restrictions. Anvils Storage Utilities 1.1.0 is available to all software users as a free download (Freeware). Compatibility with this SSD benchmarking software may vary, but will generally run fine under Microsoft Windows 10, 8, 8.1, 7, Vista and XP on either a 32-bit or 64-bit setup. A separate x64 version may be available from Anvil. This download is distributed as AnvilBenchmark_V110_B337.zip. We have tested Anvils Storage Utilities 1.1.0 against malware with several different programs. We certify that this program is clean of viruses, malware and trojans.